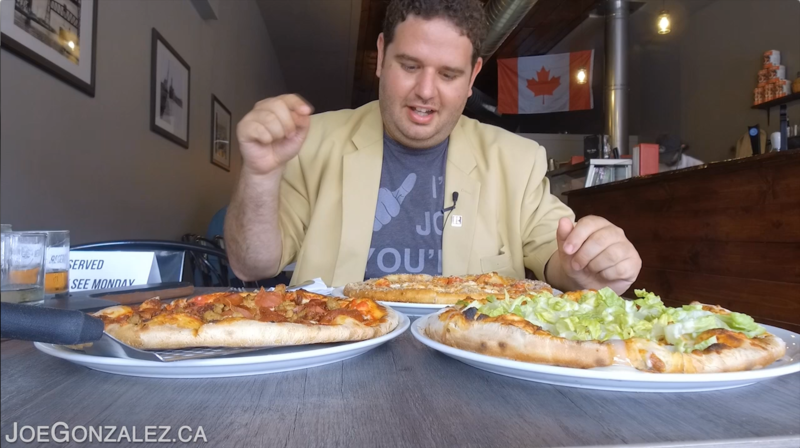 On this week’s episode of Must See Mondays Joe finds himself at The Lock Wood Fired Pizza in Port Colborne Ontario! Nothing beats pizza, except wood fire cooked pizza which is exactly how The Lock Wood Fired Pizza makes theirs! They also have a bunch of amazing craft beers on tap for you to taste, which of course Joe indulges in! The Lock Wood Fired Pizza Craft Beer Flights! 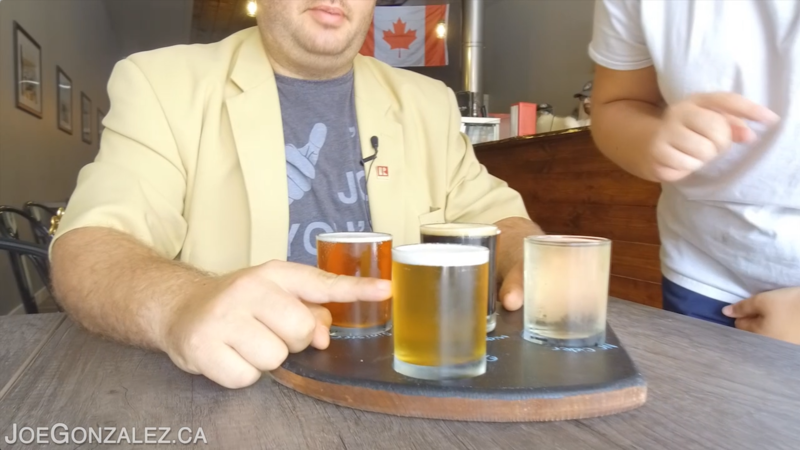 To get this weeks Must See Monday started, The Lock brings out Joe a flight of 5 craft beers. Niagara College Cider, Enlightenment, Sinister Minister, Logan Berry and Midnight Mass. The Lock Wood Fired Pizza Appetizers! After Joe has tasted the craft beer flight of beers he is surprized at the delicious apps they bring him out. The guys at The Lock Wood Fired Pizza have a nice assortment of apps to choose from, today they bring out Joe a Caprese Salad and home made Meatballs! The Lock Wood Fired Pizza, Pizza’s! After enjoying the yummy apps the guys brought out to Joe, it is now time for the main event, the Pizza! The Lock cooks their pizza in a wood fired pizza oven, giving the pie a unique taste you can only get when cooked with wood. Joe is in for a treat, they bring him 3 Signature Pies! Joe deciding which of the Pizza’s he will try first! The Lock Wood Fired Pizza Signature Pies! Joe is brought out the Meat Lovers Pizza first, this pie is covered in all the meats! If you are a Carnivore this is the pie for you! Next up, is the Buffalo paesano, this pie has fresh salad topping which they apply after cooking, makes for a unique crunch! Last but not least, the fan favorite is their Cheesy Santo. Like cheese? This is the Pie for you! The Lock Wood Fired Pizza Desserts! 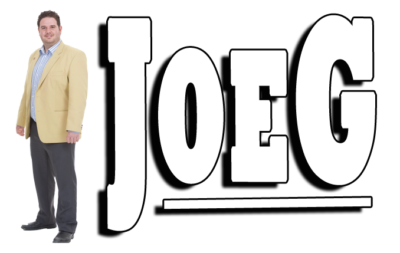 After all that amazing food, what else could Joe need? You guessed it, dessert! The guys have some incredible desserts you HAVE to save room for! First up is their S’more Pizza, this thing is cooked to perfection and definitely a treat! Next up is home made Gelato with a hand crafted Pizzelle cookie from the guys Nona! The Lock Wood Fired Pizza Location! Like The Lock Wood Fired Pizza Facebook Page & Instagram! View their entire menu here! Want your business featured on Must See Monday? Click here!